SSIS configuration wizard allows you to create configurations for packages. 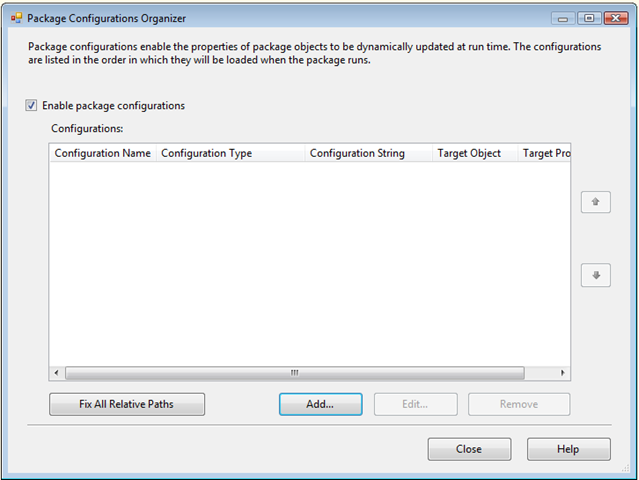 It also allows you to update the properties and objects of the package at run time. Configuration really helps the developers to smoothly move the packages from Development environment to Production environment. 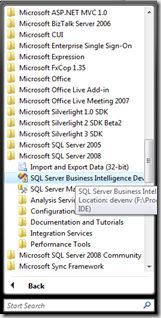 Configurations makes it easier when you deploy the packages over different sql servers. 2. 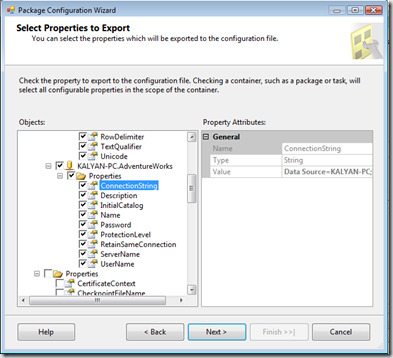 Open the any existing SSIS package project and double click the package file. 5. 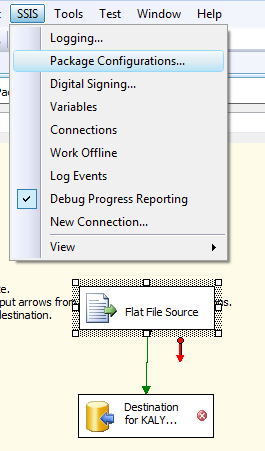 From the above configuration type dialogue box, Specify the configuration type and then set the property types relevant to the configuration type. 6. 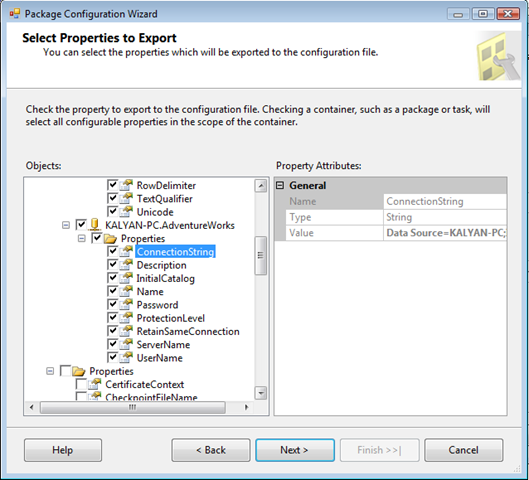 Select the properties of the package object to include in the configuration. 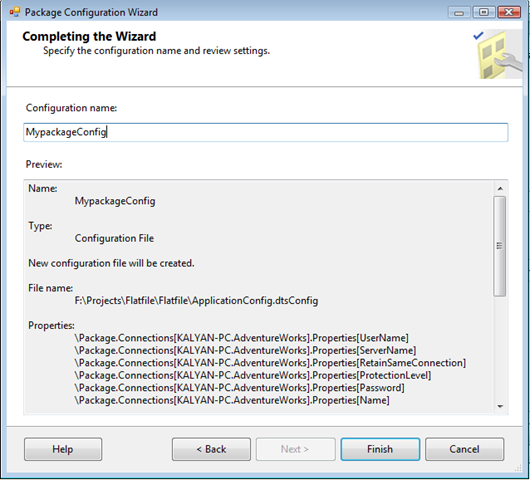 On completing the wizard type the name of the configuration and then say finish. 7. 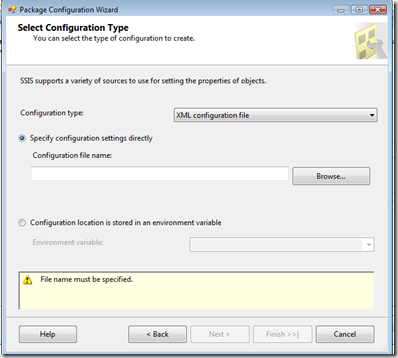 Open the above created configuration file with extension .dtsConfig. 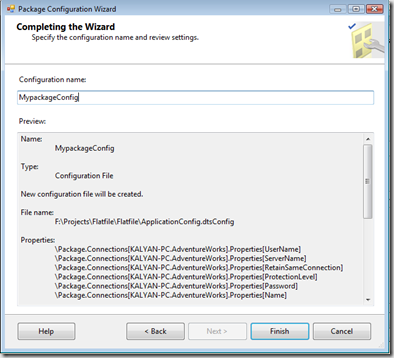 Update the connection string and other configuration parameters in the file after deploying the package to the server. 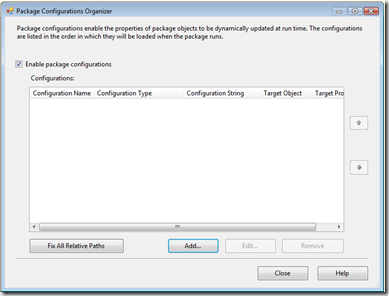 Configurations are included in when you create package deployment utility for Installing packages. 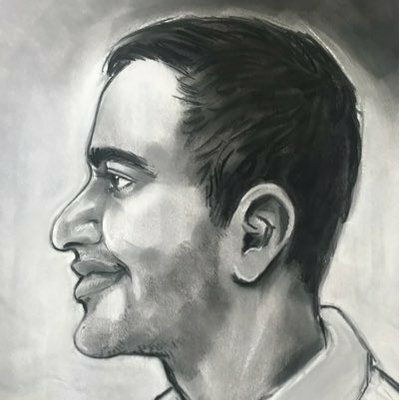 Can we store encrypted data (connection string/user name and password) in the config file? 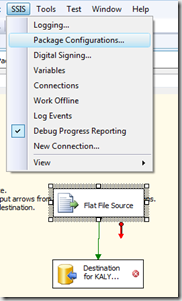 Will SSIS automatically decrypt it?